All NHS services should be clearly branded NHS, regardless of who the provider is, so that it’s clear to the patient that it is an NHS funded service which meets NHS quality standards. Our research also showed that if an NHS service is being delivered by a third party provider, patients and the public want to know who the provider is – it needs to be open and transparent. It is also a contractual requirement of providers of NHS services commissioned under the NHS Standard Contract to adhere to the NHS Identity guidelines (GC22 Intellectual Property and GC23 NHS Identity, Marketing and Promotion). Where NHS services are provided by NHS organisations, they should be branded with their NHS organisational logo, so that it is clear who is accountable and responsible for the service, as shown in the example below. The overall design of materials must follow the NHS Identity guidelines. See guidance on how to apply NHS organisational logos. There are instances where it may not be appropriate to apply an NHS organisation’s logo to an NHS service. An NHS service logo has been developed for use in such cases. The name of the service, which appears in black text underneath the NHS logo. It must follow NHS naming principles to ensure that it makes sense to patients and helps them identify where the service is being delivered. View guidance on NHS naming principles. NHS organisations who are delivering a commercial service that is either internal/staff facing or business-to-business. Third party providers of NHS services should contact their NHS commissioner for approval of the name to use in the NHS service logo. The overall design of materials must follow the NHS Identity guidelines. The guidelines for leaving clear space around the NHS service logo, using an NHS service logo on coloured backgrounds, and the size and position of an NHS service logo are the same as for NHS organisational logos. To assist NHS organisations with creating NHS service logos, we have provided a template which shows how the artwork should be created. Artwork for NHS service logos should be held by, and supplied from, a central point in the organisation to ensure they are always reproduced correctly and consistently. Only original artwork for the NHS logo should be used. You should not attempt to recreate the NHS logo yourself. Download template artwork for the NHS service logo. If you need to use an NHS service logo instead of your NHS organisational logo, you should include a textual statement which explains that your NHS organisation is responsible for delivering the service. 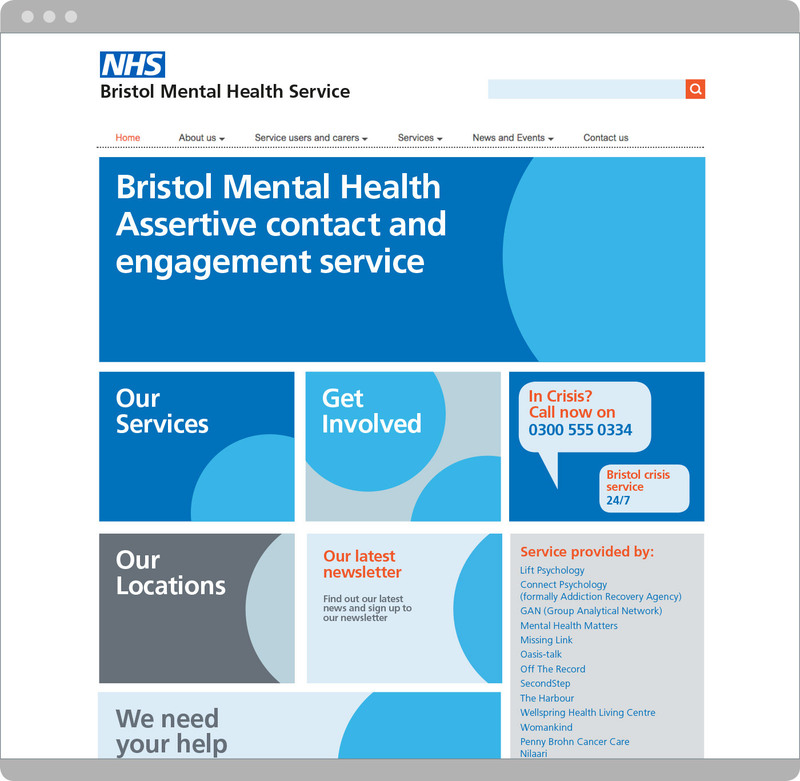 This would be positioned away from the NHS service logo, appearing at the bottom of offline communications and visible on the opening page of online communications. 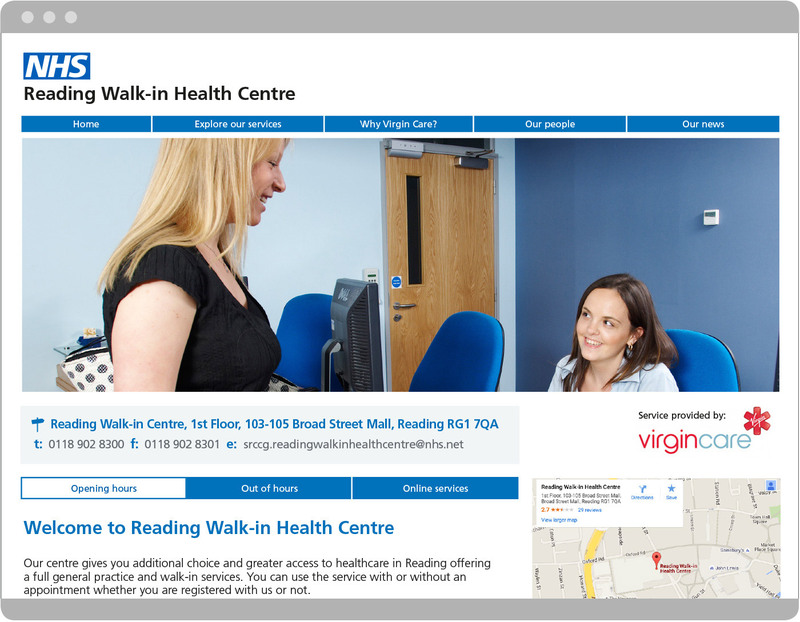 The example below shows the NHS service logo positioned and ranged left on a website. This is an option for digital communications only. Please see the template above. An NHS service logo should be used where the NHS has commissioned a number of providers, either NHS or a mix of NHS and non-NHS, to deliver an NHS service. The partners providing the service would be listed in text, under the statement ‘Service provided by’. This would be positioned away from the NHS service logo, appearing at the bottom of offline communications and visible on the opening page of online communications. NHS services provided by a third party provider should lead with an NHS service logo and the overall design of materials must follow the NHS Identity guidelines. Third party providers should contact their NHS commissioner for approval of the name to use in the NHS service logo. The third party provider’s logo should go in a supporting position, under the statement ‘Service provided by’, as shown in the example below. On offline materials, the provider’s logo would usually appear bottom right, but on a website it should be visible on the opening page, without having to scroll down. The provider’s logo should be proportional to, but not larger than, the NHS service logo. 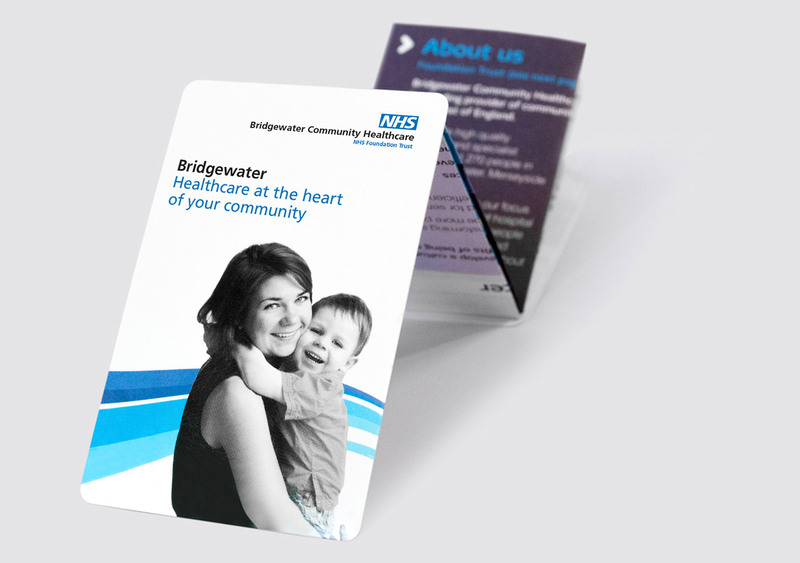 If the commissioner agrees, a third party provider can inject some of its own organisation’s personality into the design, provided it adheres to the NHS Identity guidelines and does not include elements of the third party’s visual identity (e.g. recognisable graphic elements, logo, non-NHS colours and non-NHS fonts etc). If you are a third party provider delivering a number of different NHS services and need to produce more general materials across those services, e.g. uniforms, the stand-alone NHS logo could be used instead of the NHS service logo. The NHS service logo can only be used on information relating to the NHS service being provided, and on materials used to signpost patients and the public to them. It cannot be used on the third party provider’s corporate marketing, communications and promotional activity. Primary care contractors are not contractually required to use the NHS Identity, but they are encouraged to use it to signpost patients and the public to the NHS services they provide. An NHS primary care logo has been developed specifically for primary care contractors to use. See guidance on the NHS primary care logo. Trusts are allowed to use their NHS organisation’s logo on communications specifically about their NHS private healthcare services, to show patients who provides the service. The NHS organisational logo must be placed in a supporting position with a strapline such as ‘Service provided by’. Please see the guidance provided in the example for private healthcare delivered by an NHS Trust/Foundation Trust. When an NHS organisation is delivering a service which is commissioned and funded by a non-NHS organisation (e.g. a local authority), the design of communications is the commissioner’s decision. Please see the guidance provided in the example for local authority commissioned and funded services. Can conference and event organisers use the NHS Identity? How do we brand NHS services provided by a third party? How do we brand services delivered outside our usual geography?